In the Piedmont of NC, there are fly fishing clubs in the Greensboro, Winston-Salem, and Raleigh areas. These clubs offer fellowship, information, monthly meetings, fly fishing trips, etc. Below are our local clubs. I know all of them and have for many years. There are some great folks here who love the sport of flyfishing. If you have a local club and would like to include a banner and logo and some info please contact me here and we’ll post it for free. TU and FFF Affiliate that meets here in Greensboro, NC on the second Tuesday of the month at Leonard Recreation Center at 6324 Ballinger Rd at 7:00pm. Meetings usually consist of a great program or guest speaker and its also a great way for folks who are new to the sport or new to the area to get “plugged” in and meet some people. Many of our class students find a few fishing buddies through it as well! Check out the Nat Greene website here . Subscribe to the Nat Greene email Newsletter here . Trout Unlimited Club that meets in Winston-Salem, NC , monthly, and whose meetings consist of a great program or guest speaker. A great way to meet people and also learn, a great way for folks new to the area to get plugged in. 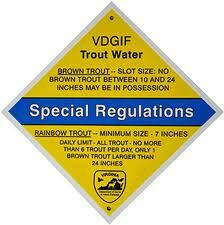 You can check out BRTU’s website here, and the Fly Fisherman’s Forum here. 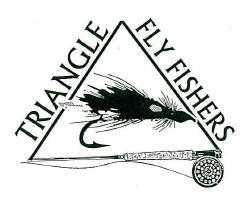 Triangle Fly Fishers is a Trout Unlimited affiliate (chapter #345) serving North Carolina, from the Research Triangle area east to the coast. A great group of guys, pay them a visit if you are in the area. Check out the club’s website here . Click here for the most recent issue of the TFF newsletter. Smith River Trout Unlimited – Our friends to the north in Martinsville, VA…a great bunch of folks and be sure to visit if you are in the area. Check out SRTU’s website here .